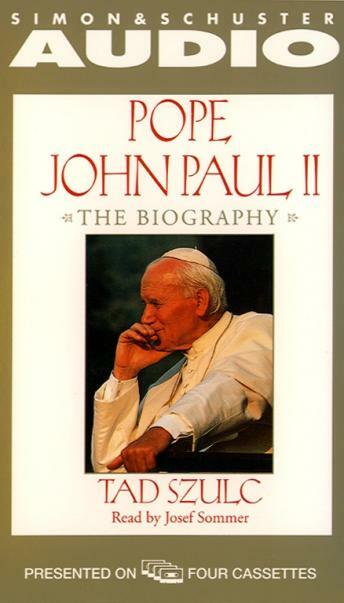 The definitive biography of Pope John Paul II -- by The American Expert on the Pope. As the spiritual leader of nearly one billion Catholics and the head of the oldest universal organization, Pope John Paul II wields enormous international power and influence. Yet, in the seventeenth year of his papacy, he remains a mystery -- theologically, politically, and personally. In this landmark, definitive new biography of the 264th pontiff, Tad Szulc, a former New York Times bureau chief and award-winning author, sheds long-awaited light on the life of Karol Wojtyla. Included are such exclusive highlights as: Wojtyla's life and work under Nazi occupation; the story of how the communists inadvertently helped Wojtyla to become a bishop, opening his way to the papacy; the secret police files revealing their attempt to undermine his cardinalship; and the never-before-revealed account of the Pope's backstage involvement in the downfall of Polish communism. Drawing on Szulc's unprecedented access to the Pope himself, his friends, colleagues, and collaborators -- and on secret documents from many sources -- Pope John Paul II is a work of monumental religious and political significance.